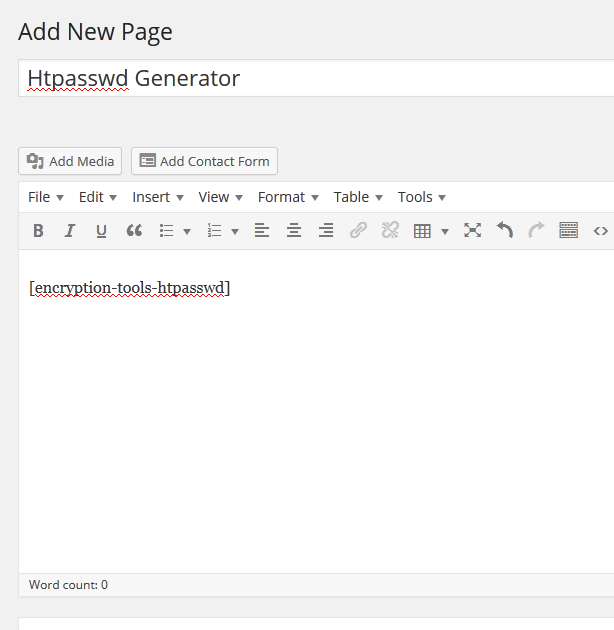 Convert your Wordpress page or post to a security or encryption online tool generator. Encryption Tools Generator is a wordpress plugin, it provides shortcodes to automatically generate a security and encryption tools on a wordpress website. The shortcodes can be added on any page or post. The generated forms support bootstrap 3. More tools will be added frequently. Suggestions are also welcomed. In your post or page add the shortcode(s). [encryption-tools-md5] - A form that will convert a text to a MD5 string. [encryption-tools-sha1] - A form that will convert a text to a SHA1 string.